Developing a competitive PPC strategy isn’t as easy as it used to be. Advertisers now have a number of ways to target their audiences, which makes distributing ad spend a challenge. Here are some of the steps or ways that may help you develop an effective PPC strategy if you don’t want to spend money on an SEO agency or a digital marketing strategy agency. Define your goals prior to building an effective PPC campaign strategy. There are so many different PPC targeting options available within Adwords and beyond it. Once you define your platforms you can then easily choose the ad types that are best suited for your marketing needs. Your goal could vary from increasing the site’s traffic to generating new leads for better brand awareness. So, for example if your goal is brand awareness, and then social media and display ads are ideal for you. Hence, defining your goal before investing on any platform should be your top priority. But you need not necessarily target the traditional categories. The ones you focus on should depend on your business. For instance, an ecommerce business should invest largely in transactional keywords to encourage conversions. A service-based business may invest more in informational keywords to boost their content marketing strategy. As an effective PPC manager you need to draw a strong link between audience targeting and landing page optimization. The more relevant your site page is, the better it will be for your site visitors as they click through, sign up, drive up your sales etc. If you’re going the social media way, you need to optimize by using content types and language that perform well on the platform. Off recent, AdWords has helped automate ad creation and optimization. Hence the real key to success is providing AdWords with a sufficient variety of ad variations. Creating 3 or 4 ad variations for a hundred ad groups is a task. But it can get simpler if you take an advantage of all of AdWords features. Click through rate: Helps you determine how relevant your ads’ content is to your keyword or audience targeting for social or display. Conversion rate: A low conversion rate could be an indication that your ad spend is better suited for higher performing keywords. 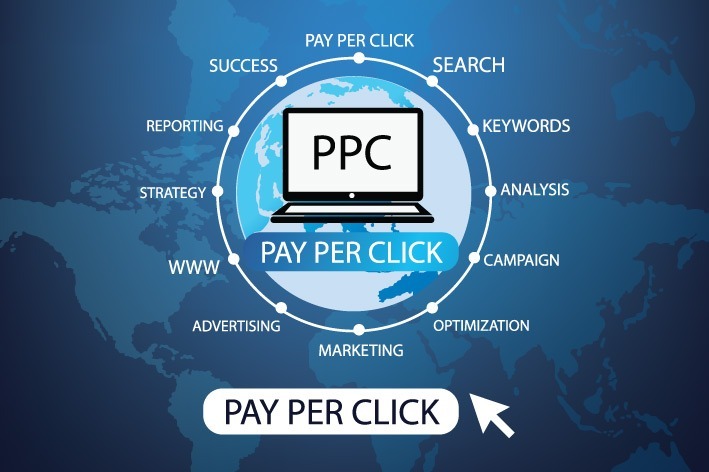 Cost per click (CPC): How much are you willing to pay to get the attention of a member of your audience? That would be your ideal CPC. These ways are really all you need to start developing a competitive PPC strategy. Focus on identifying what points in the sales funnel you want to target your audience, choose the right platforms and ads to do this, and then optimize your PPC advertising material. Over time you’ll identify which elements of your strategy deserve the most investment to improve your business.